The content below is provided for the media and for venues. If you need something and don't see it, contact us. Listen to clips of the songs on HCH's most recent albums: Under the Weather and Melancholy Babies. 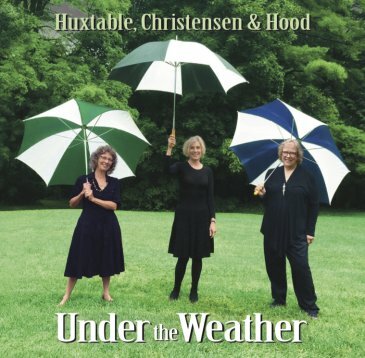 Under the Weather is Huxtable, Christensen & Hood's first album in thirty years. 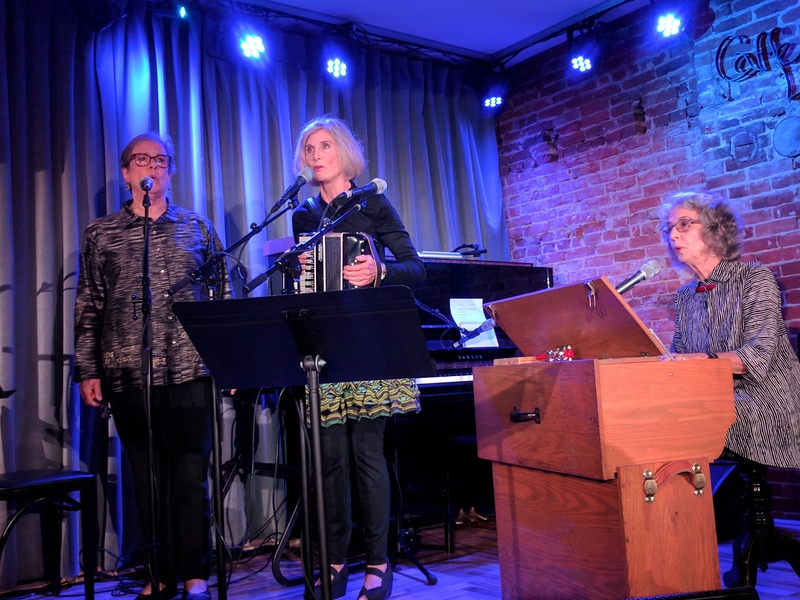 Traditional ballads, Tin Pan Alley tunes, two originals by Teresina, and achingly beautiful covers of songs from Victoria Armstrong, Kate McGarrigle and Utah Phillips make this a banquet for the ears. Whether a cappella, or backed by piano, reed organ and accordion; they put their own stamp on this diverse collection of fifteen songs. For more about the album, visit the Under the Weather web page. Download by clicking on the image or the download button. 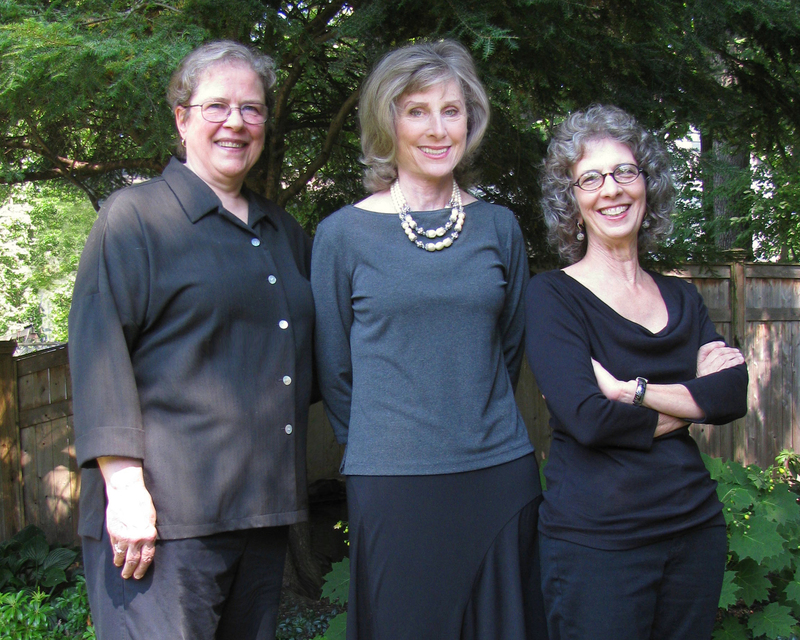 Left to Right: Liz Hood, Carol Christensen, Teresina Huxtable. Download by clicking on the image or the download button. "Huxtable, Christensen and Hood ... harmonize in pure clear chords ... on English traditional songs, Huxtable originals, a Renaissance madrigal and a Bahamian tune ... The whole project has a gentle fireside ambience ... "
"Little known, largely delightful... if you're partial to exquisitely crafted harmonies and a repertoire that ranges from obscure centuries-old ballads to Tin Pan Alley tunes to delightfully arranged doo-wop, then get acquainted with this marvelous trio. "Huxtable, Christensen and Hood find a quiet beauty in gracious self-restraint and liven it up with a good sense of fun." "Finally, thirty years later, comes Under the Weather, a third album from the trio - a set that expands on the folk, original and pop material [of their earlier albums] to include songs from superb folk-rooted songwriters ... It's nice to hear the voices of Huxtable, Christensen & Hood again after all these years." Under the Weather was selected by Chicago folk DJ Rich Warren as CD of the Week (Mar. 2016) on his nationally syndicated show "Midnight Special" on WFMT. A cappella song performed live in 2016. The song is available on Huxtable, Christensen & Hood's 1986 CD, Melancholy Babies. For more videos, see the Home Page. "The Streams Of Lovely Nancy"